The workhorse of precision rifle actions, the Deviant Tactical with integral 1913 Mil spec (picatinny) scope base and recoil lug is perfect for competition. Our most rigid receiver, it’s chosen by the top competitors time and time again. Integral mil spec 1913 (Picatinny) scope mount available in 0, 10, 20, and 30 MOA. 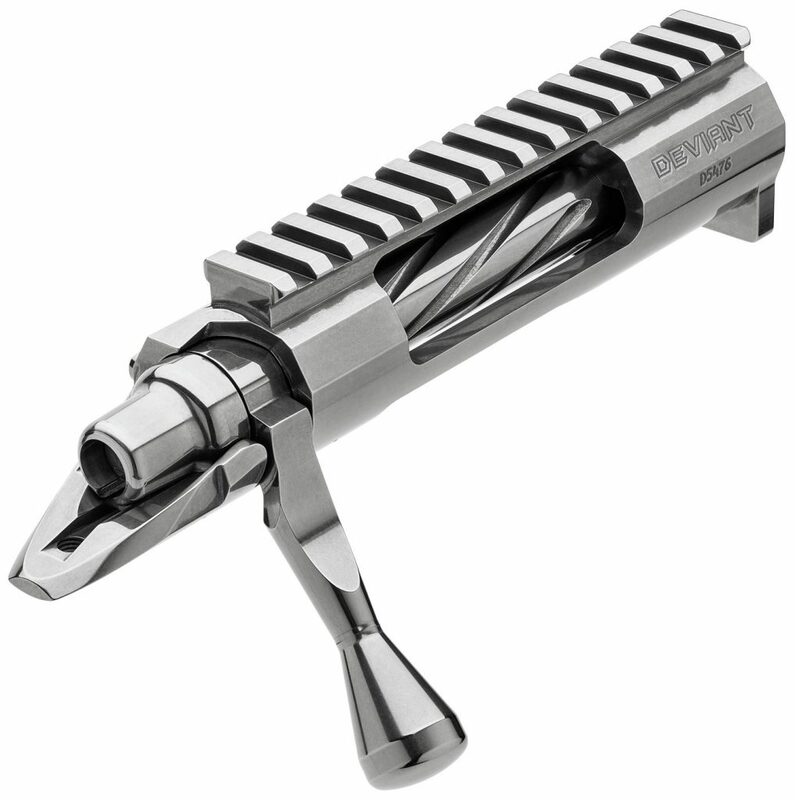 Designed, as well as detachable magazines and single shots. Multiple magazine well cuts available for all of today’s popular magazine types including detachable boxes or single shot.